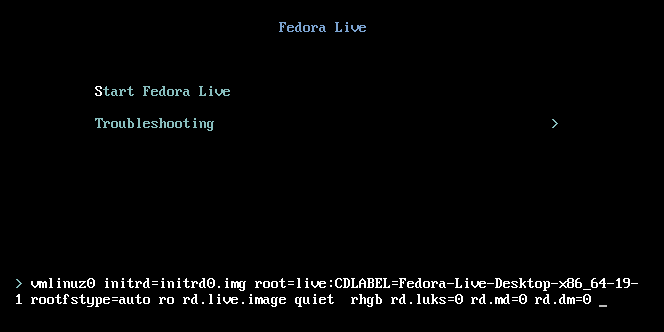 Fedora live images do not include the "Boot to RAM" option any more. This is not a big problem as the scripts needed to boot to RAM are still there. You just need to add rd.live.ram as boot option. 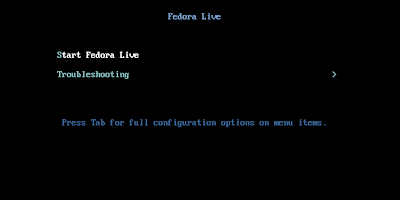 To do that, highlight "Start Fedora Live" using the keyboard keys and press TAB to edit boot command line. Add rd.live.ram and press Enter. I made a fork of a clone detection tool named CCFinderX. Two days ago I got a message from an user telling that the compilation was not working on Arch Linux. 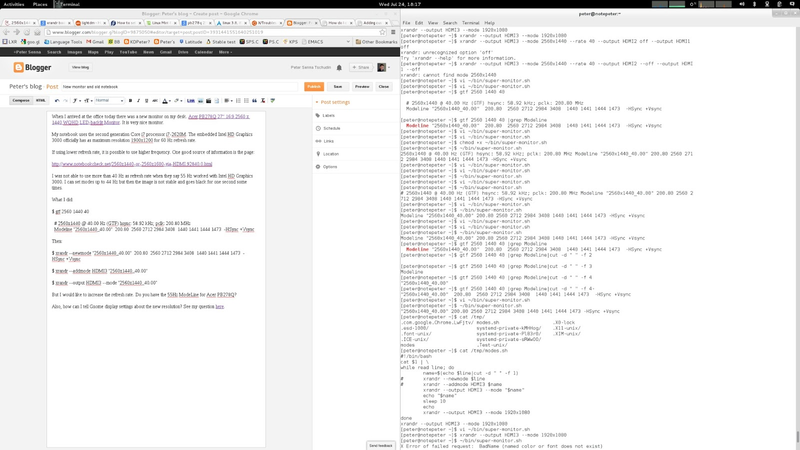 As some Kernel developers, such as Greg KH, has mentioned Arch Linux as being nice, I decided to try it. I prefer chroots over virtual machines due higher performance, and due the fact that I do not need insulation between my chroots. 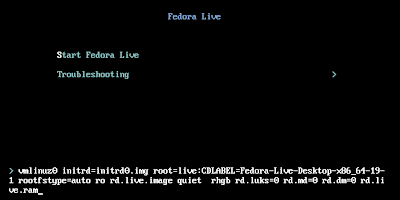 As for Debian, Fedora provides all tools needed to create chroots for Arch Linux. This is "very" nice, as one can setup the Arch Linux chroot in just a few minutes. The steps will cover installing Arch Linux tools on Fedora, creating the Arch Linux chroot, and configuring it with a new user and ssh server. 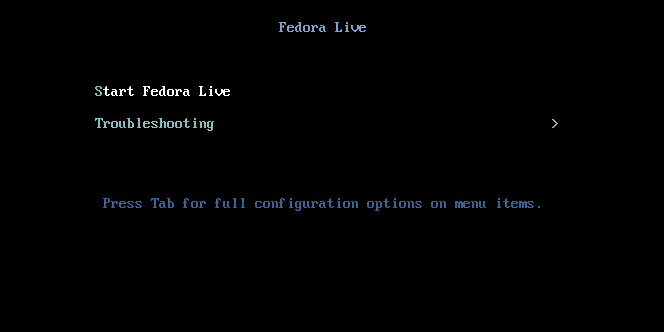 Note that the text refers to "[fedora] $" and "[arch] $", but this strings will not show up. If you want it is possible to configure bash prompt for showing different strings. Here is guide on how to do it. Finding code clones is far from trivial. For a nice explanation about the challenges of finding clones in source code, I suggest reading: "Comparison and evaluation of code clone detection techniques and tools: a qualitative approach". You can start by reading sections 2 and 6. There are at least two tools with source code available under permissive free software licenses. Deckard and CCFinderX. CCFinderX is an evolution of CCFinder, made by the same author. Both are clones from gpoo/ccfinderx, but I've spited things. At the moment the GUI do not work but you can build CCFinderX-core without wired OpenJDK dependencies. And it works producing textual output. My goal with this repositories is provide source code that can be compiled, packed, and distributed. I use Fedora 64 bits on my workstation but I need 32 bits chroot of Debian. It is easy to do. 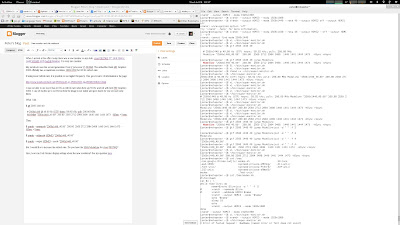 The first difference is that you need to add --arch=i386 to the debootstrap command. After that even uname -a will show 32 bits instead of 64. 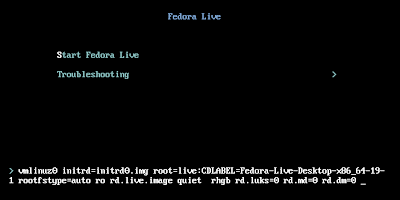 The linux32 tool is on the util-linux Fedora package. The datasheet of Toshiba R830-10P mentions that the maximum memory capacity is 8GB. See it here. But Intel says that the i7-2620M supports up to 16GB of RAM. See it here. I have asked for help on Toshiba Forums. Nothing useful from there. See it here. I was curious as I have a very particular need for 16GB of RAM. Today I decided to give it a try. I bought two Patriot PSD38G13332S (8GB PC3 - 10600 1333MHz CL9 SoDimm) and installed it on the notebook. It just worked. Bios screen showing 16384 MB of RAM. Memtest86+ and some info about performance. So if you have the need for 16GB of RAM and a similar notebook from Toshiba, you can install 16GB of RAM.